Do you have an idea to improve your community? The Hillsdale County Community Foundation would love to hear about it! 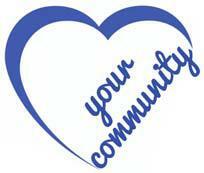 The Love Your Community program supports projects and programs aimed at enhancing and engaging communities. The strongest proposals will demonstrate creativity and innovation, and cannot duplicate services or programs already in place. Each grant award will not exceed $2,000. Since the program’s beginning in 2015, 12 organizations have received grant funding totaling $22,300 for community projects. Applications for the Love Your Community program are available online at www.abouthccf.org and at the HCCF office at 2 South Howell Street in downtown Hillsdale. The application and idea phase will be open until January 31st, when proposals are due to the HCCF office by 4 pm. While the Foundation’s “regular” grants are available only to organizations that are taxexempt according to Section 501(c) (3) of the Internal Revenue Code, educational institutions, or governmental units, the Love Your Community program is open to any applicant with an idea, a plan, and a desire to make their community a better place.  The HCCF Grant Committee will review all Love Your Community submissions in February, and the top ideas will be posted on the Foundation’s facebook page in mid-March. The largest factor in the grant award decision-making will be the support that each proposal receives via facebook likes recorded directly from the HCCF page (not from the applicant’s personal or organizational pages). HCCF will also evaluate each proposal for feasibility, plan for execution, clear communication of goals and expected outcomes, and realistic budget. The winning grant proposals will be announced at a community reception on April 12th, which will be open to the public. This goal of the program is to generate excitement and support for our friends and neighbors who have a vision to improve the world around us, whether it’s a single block of a neighborhood or an entire city, village, or township. For more information or for an application form, please contact the Hillsdale County Community Foundation at 517-439-5101, stop by our office at 2 S. Howell St. in Hillsdale, or visit www.abouthccf.org or the HCCF facebook page.